Lowland cultivation, both drought-resistant, and resistant to pests and diseases, and the strong taste. Tea and coffee, cocoa and called the world's three drinks. Coffee tree is an evergreen small tree, daily consumption of coffee is coffee with a variety of cooking utensils made ​​out, and the coffee beans within the fruit tree nuts, then baked right Method of baking. Stage 1The roasting process begins by weighing green beans. Our roast experts have spent many hours testing and tasting the roasted product for flavor and smoothness. 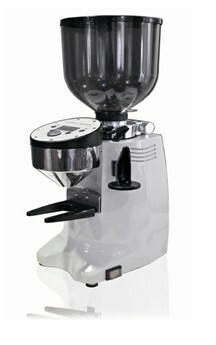 For consistency, the same quantity of beans is used for each roasting cycle. Stage 2 The roaster is preheated, ready to accept the green beans. Stage 3 The measured green beans are poured into the intake hopper. Stage 4 Beans are introduced to the roasting chamber and the timer starts. The roasting chamber is a rotating drum that tosses the beans constantly through the hot inner atmosphere. From here on, the roast is monitored for temperature, time, color and taste. Stage 5 Roasting beans are visible through a sight glass in the roaster. Stage 6 During different stages in the roast, the temperature is adjusted to follow the formula achieved by the Roast master. Stage 7 Careful notes are kept and compared to previous roasting cycles. 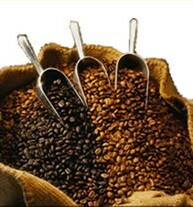 The flavor and appearance of the product as well as conditions during roasting are recorded. Stage 8 "First Crack" occurs about half way through the roasting process and is an important milestone. You can hear the outer shell of the coffee beans in the roaster snapping. This indicates that the bean has begun caramelizing and hardening. Stage 9 A sample of the bean is taken from the roasting chamber. The bean is evaluated for color, smell and taste. Stage 10 Further into the roasting process, the "Second Crack" occurs. At this point, a sample is taken every few seconds as the bean is now rapidly changing. 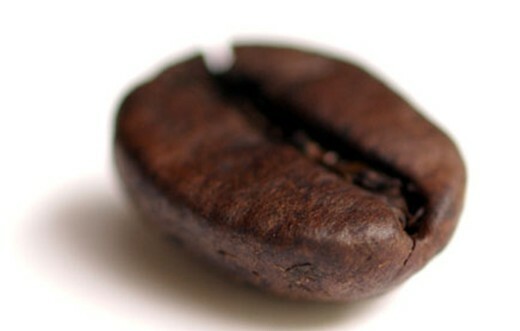 Beans may be compared to a previous roast considered "ideal" for that variety. It is here that the degree of roast is determined, whether it be medium, dark, french or espresso. Stage 11 Here is where the experience of the Roast master becomes important. The sound and smell of the beans in the roasting chamber are indications of what the beans are doing. The difference between a good and a bad roast is only a few seconds of roasting time. At the moment of perfection, the beans are released from the roasting chamber into the air cooler. Stage 12 Since the beans are very hot, they will continue to caramelize and change unless the roasting process is stopped by cooling. The air cooler stirs the beans and draws air through them with a powerful blower under the cooling chamber. The cooling process may take about 10 or 15 minutes. Stage 13 The cooled beans rest for 24 hours to allow carbon dioxide (CO2) to dissipate from the coffee prior to grinding and packing. Our roasting capacity is 800 kg of finished coffee per day. We are committed to the most stringent norms of quality from the start of our operations. All our manufacturing facilities are well equipped with latest generation production machines. We procure raw material directly from the manufacturer, ensuring its quality and certification. In the future production and operation of coffee plantations will gradually render centralized, intensive trend. Currently, with the maturation of coffee consumption, business are developing to small, simple form, such as Launched Café, coffee carts, coffee market model of light. Different consumer groups will lead to the direction of diversification.